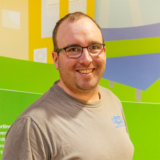 Jared was born and raised in Vermont and comes to SunCommon with 12 years of commercial electrical experience in various fields. One of his more notable life experiences was a year living and working in Antarctica, at the south pole. He enjoys time with his friends and outdoor activities including fly fishing, biking, and camping.